Internet Premium: 10.00% What's This? 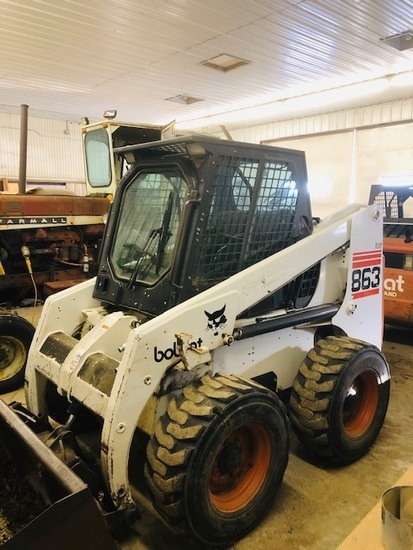 Preview Date & Times: "INSPECTION DATE: WEDNESDAY, APRIL 17TH, 11:00 A.M. - 3:00 P.M."
Checkout Date & Times: Loading available the day of auction, all items removed in 7 days Please contact Allen Henslin at 320-979-1808. "Thank you for logging in and participating in this auction, we appreciate your business! Terms for this auction: 10% Online Buyer's Premium with a $1000 cap per item. Al...morel purchases or multiple purchases totaling under $2,000.00 will be paid for by a good business or personal check, cash or credit card (with a 5% fee for credit cards). All purchases over $2,000.00 will have to be paid for by wire transfer (with a $25 fee) on auction day or the next business day, which is Thursday, April 25th, 2019. No exceptions! If you cannot meet these terms, please do not bid. Once the item is sold it is solely your responsibility for payment and pickup, no exceptions! All items must be removed within 7 days of the end of the auction. ONCE THE ITEM IS SOLD, IT IS YOUR RESPONSIBILITY. (NO EXCEPTIONS!) Thank you and Good Luck! Payment Default If you fail to pay via wire transfer, (approved) check, or cash within the stated time, your credit card will continually to be charged at the auction company’s discretion until payment is fully executed." You've been outbid by E****2! by YOU! You've been outbid by r****e! by YOU! You've been outbid by T****3! by YOU!